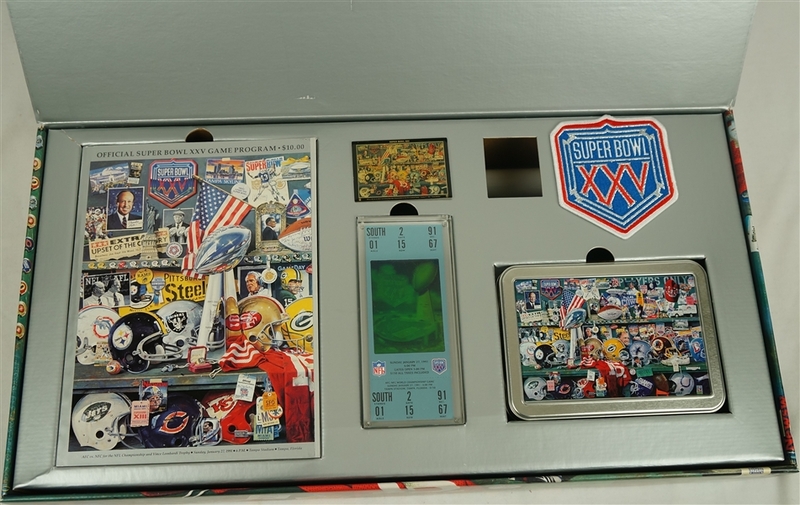 This lot features a Super Bowl XXV 25th Anniversary Collection. 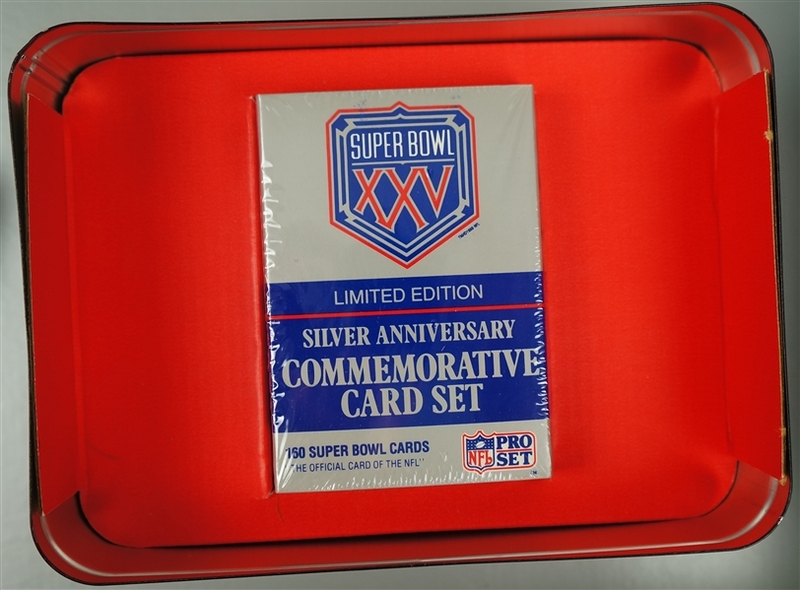 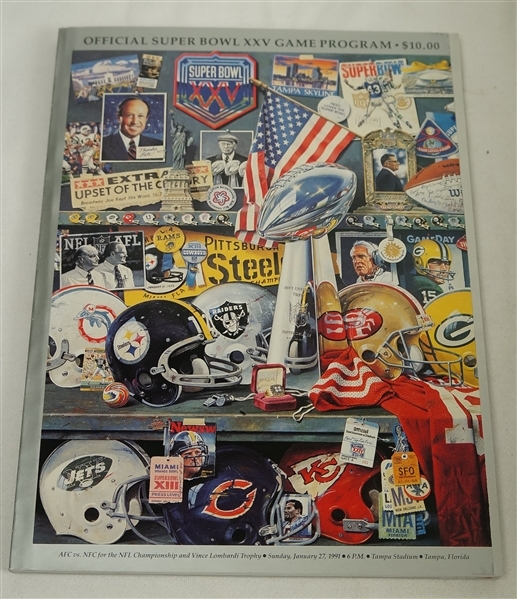 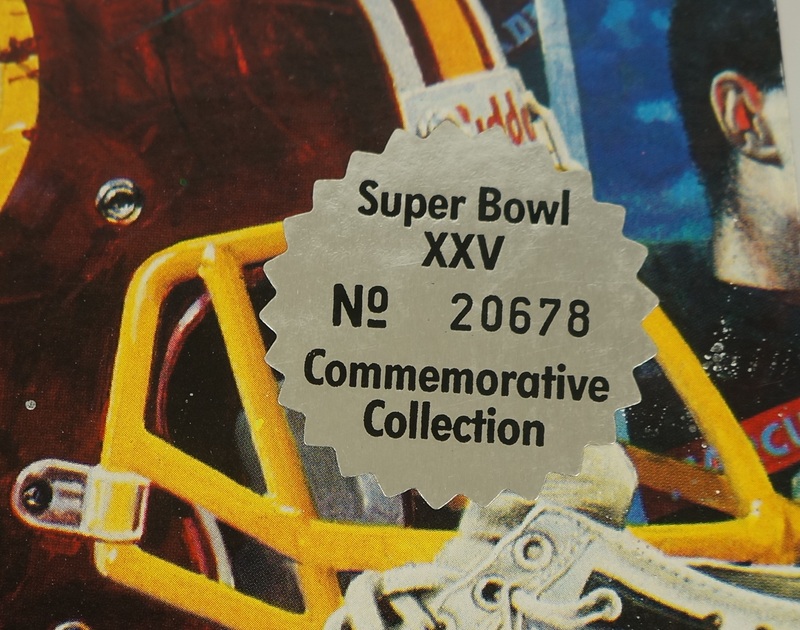 The boxed set includes a hat, card set, magnet, Super Bowl Game Day Program, collectors ticket in Lucite, Super Bowl poster and collectors tin. 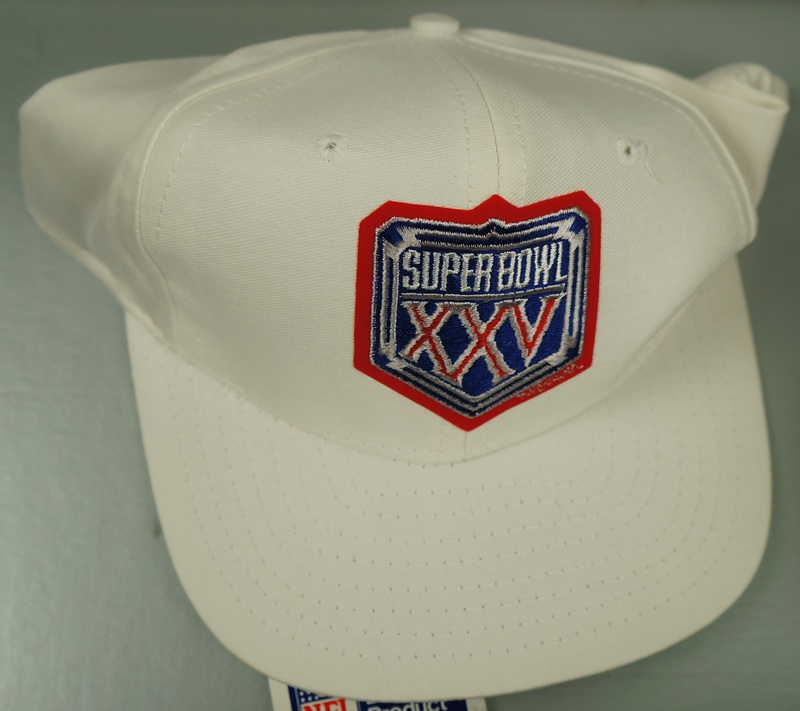 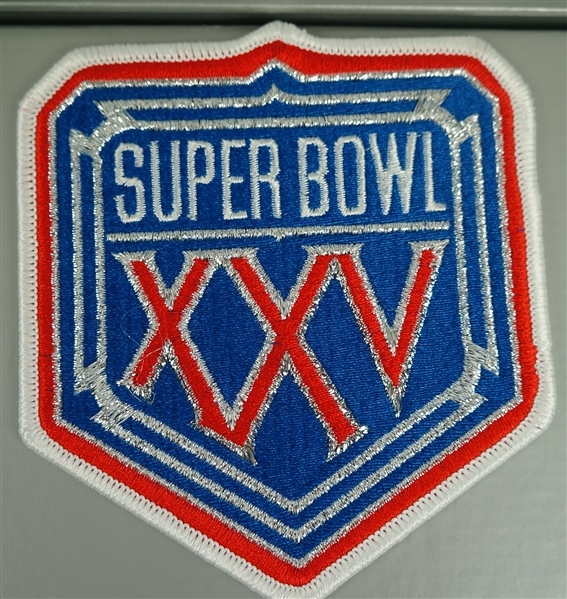 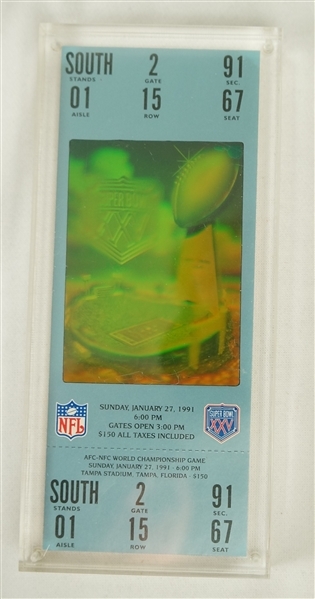 Super Bowl XXV featured the Buffalo Bills vs. New York Giants in one of the most memorable games ever played. 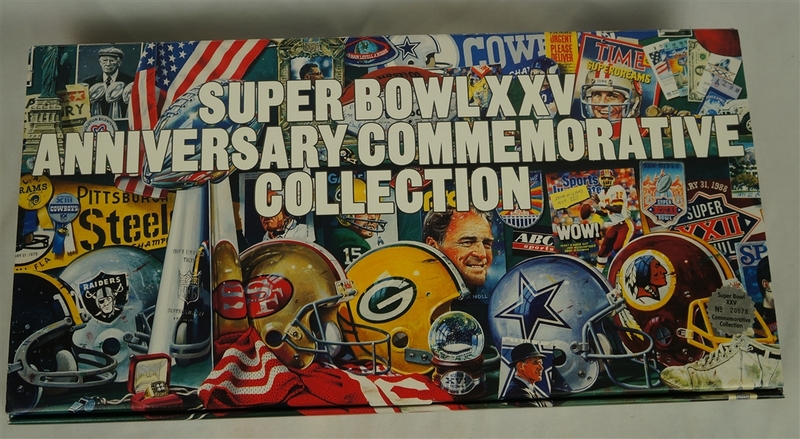 Very attractive collection in mint condition.